Transitioning the conventional electricity grid to a smart grid with a high degree of renewable energy sources requires substantial research in electricity generation, distribution, and consumption. In particular on the side of the consumers, information and communication technologies (ICT) can play an important role to increase transparency, optimize energy efficiency and leverage sensing and actuaction capabilities for a large variety of energy-related applications. Every day more and more electricity sensors (smart meters) are being deployed in private households, providing a vast amount of data that can be stored, analyzed, and combined with other information sources such as smartphones or Web-enabled devices. In the eMeter project, a conventional smart electricity meter has been combined with a smartphone in order to visualize electricity consumption to increase energy transparency. Building on these ideas and the infrastructure developed in these projects, we are currently exploring a new set of Smart Meter Services connecting every-day devices, sensors and actuators in the home to achieve the energy savings and efficiency gains needed for the upcoming energy transition. Our activities in this field performed in close cooperation with the Bits to Energy Lab. Household Occupancy Monitoring Using Electricity Meters. The ECO Data Set and the Performance of Non-Intrusive Load Monitoring Algorithms. Occupancy Detection from Electricity Consumption Data. Note: This paper provides the results of a preliminary investigation. To see (or cite) the full results of our occupancy classification analysis, refer to the paper above with the title "Household Occupancy Monitoring Using Electricity Meters" published in the proceedings of the UbiComp 2015 conference. Improving device-level electricity consumption breakdowns in private households using ON/OFF events. Note: This paper is available as a reprint for the ACM SIGBED review (see entry above). Please use the SIGBED version for citations (BibTeX). Opportunistic Sensing for Efficient Energy Usage in Private Households. 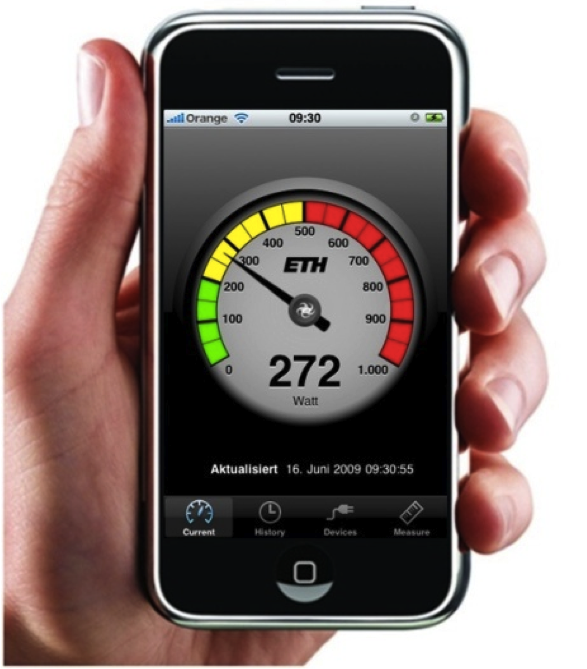 eMeter: Stromverbrauchsfeedback auf Basis eines Pervasive Energy Monitoring Systems. Towards a PowerPedia – A Collaborative Energy Encyclopedia. eMeter: An interactive energy monitor.